Sydney Siege Gunman killed by police mentally disturbed and acting alone not a terrorist. Sydney siege gunman, Man Haron Monis, said to be aged either 49 or 50, a mentally disturbed Iranian-born Sydney resident was shot dead by police when they stormed the Lindt café St Martin Place in central Sydney, where he was holding patrons hostage. It seems clear from all available evidence that Monis, known to NSW police and judiciary for his letters to deceased soldiers’ families and released on bail on a charge of being an accessory to the murder of his wife and mother of his two children, acted alone and for personal motives. There is no reason, at this stage, to link him with ISIS or any other terrorist organisation, despite such speculation in some sections of the media. Tragically two hostages were also killed. They were Sydney lawyer and mother of three Katrina Dawson, 38, and the day manager of the Lindt cafe Tori Johnson aged 34. It is yet to be determined whether they were executed by Monis, as he had threatened, or tragically caught in police cross-fire when police stormed the building shortly after 2:00am after hearing gunfire from within. 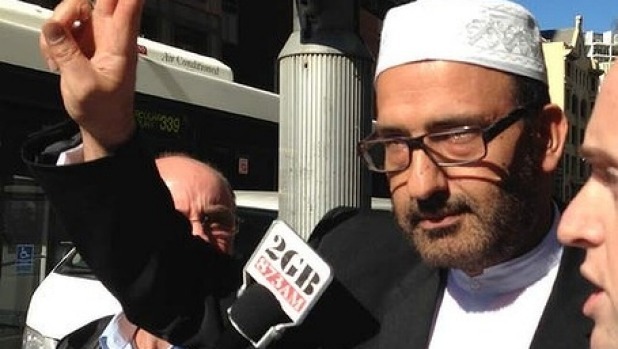 It is not known what motivated Monis, despite his communication with police negotiators during the sixteen hour siege which began around 9:00am in the café in the heart of Sydney’s business centre. Subsequent comments from his lawyer suggest that his motives were typically confused and contradictory, although there is evidence he was angry with the judiciary over failing an appeal over a court sentence. Monis took 15 café staff and patrons hostage on the day after courts refused his appeal against his community work sentence for his conviction for writing bizarre letters to the families of soldiers who had served in Afghanistan. Monis, aka Sheikh Haron and Mohammad Hassan Manteghi, and known to some Sydney residents as ‘The Fake Sheik’ was a self-proclaimed cleric, with a history of mental illness, and convictions for sexual assault who came to Australia in 1996 as a refugee from political persecution in Iran. Most recently, he was charged with over 50 allegations of indecent and sexual assault relating to time allegedly spent as a self-proclaimed “spiritual healer” at a premises in western Sydney over ten years ago. During the patron’s sixteen hour ordeal, Monis, an Iranian Shiite Muslim forced them to contact media with requests which included an ISIS flag. It is clear from Monis’ lawyer interviewed on ABC radio today that the hostage-taker was not a member of ISIS and that the request for the flag represented yet another attempt to gain publicity by the mentally ill man whose previous attention-seeking behaviour includes a series of online tirades directed at various Australian politicians and chaining himself outside Sydney courts. It is important to note that there is no evidence whatsoever to link this disturbed individual to any organised terror group. His bizarre and pathetic, Walter Mitty style request that police procure an ISIS flag for him because he had the wrong flag is enough to sound a note of caution to those commentators who seek to speculate about his links with terror; a warning to those who would embellish or dignify the manifest symptoms of insanity with more organised thinking and motivation. The would-be terrorist’s flag was an innocuous Shahada, or profession of faith in Islam, which asserts: “There is no god but Allah; Mohammed is the Messenger of Allah.” To a population already sensitised to terrorist threats and to a media saturated with reports of ISIS beheadings, however, it was at first sight evidence of something sinister, a visual cue to link a mentally ill individual to ISIS, a movement which PM Tony Abbott has chosen to describe to the nation as the ISIS death cult. To members of the Muslim community, it was a distressing type of betrayal, an ambiguous and potentially provocative signal to those non-Muslims fuelled by anti-terror propaganda keen to link Islam and terror. It was also a clear indication of the gunman’s confusion and mental disorder. What went right during the siege was the way the police appeared to manage the situation, in particular their control of information. It seems that radio stations, TV and other media were able to co-operate with the police in restricting speculation and in limiting their coverage to a few simple facts. Whilst this may have made for boring TV, it doubtless saved lives. Radio stations were contacted by terrified hostages, yet all were able to refuse Monis’ demands, including the nature of those demands. Monis, however, was able to force his hostages to post videos on social media. Standing in front of the black and white Shahada flag they talk of bombs and Islamic State. They are made to call Monis “the brother”. “We’re held here hostage and the brother has three requests. One is to get an IS flag and he will release one hostage. “The second is for the media to inform the other brothers not to explode the other two bombs which are also in the city. There are four bombs altogether here. “The third is for Tony Abbott to contact the brother via live web, somehow, and he will release five hostages. What is perhaps less skilled has been the appearance of media experts who seem fascinated with ‘lone wolf’ terminology. This has led to an unhelpful circularity of thought, a type of Catch 22, in which it is held that Mons acted alone therefore he is a lone wolf but given that ISIS encourages lone wolves, then he could still be part of the ISIS pack. His social media statements are similarly adduced as evidence of his wider influence, his further connectedness in the web of terror. Let’s just say at this stage that he posted his delusional thoughts on social media. It is not in itself evidence of anything more sinister. Did he have a following? Again, on the evidence, it seems most unlikely. Clear heads have prevailed so far. Clear thinking needs to continue. On all the evidence, so far the gunman was motivated by the delusional thinking and false logic symptomatic of a profound mental disturbance or disorder. His aberrant behaviour clearly included the capacity to inflict his pathological violence on others, and possibly on himself. Calls for strengthening terror laws, speculation on links with ISIS are less than rational and are unhelpful to our understanding and our capacity to deal effectively with what has been a shocking and frightening incident. Let us proceed cautiously by objectively and dispassionately adhering to established fact, with all due compassion for those who have suffered and are suffering as a result of the actions of this madman. Only then will we be best placed to understand and to support, to heal and secure a community which is grieving and in shock. You state: “What went right during the siege was the way the police appeared to manage the situation, in particular their control of information.” While that may have been true for local media CNN were not constrained in any way and provided ‘better’ coverage. « Put Hockey out of MYEFO misery before he inflicts more damage on himself and his nation.